A beautiful morning. Sunlight, finding a way through the blinds hits me square in the eyes. This is not a complaint… I would like each day to start this way. 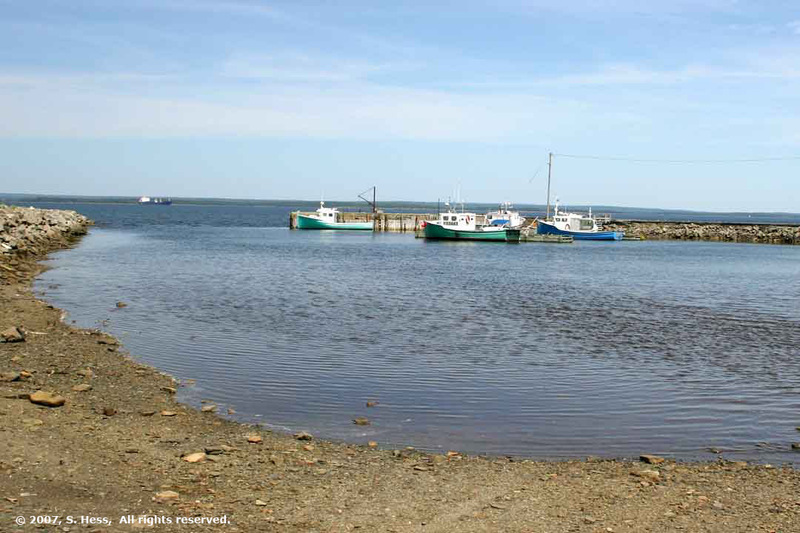 We decided that we would drive to Canso, a historic village on the Atlantic (southern) side of Nova Scotia. 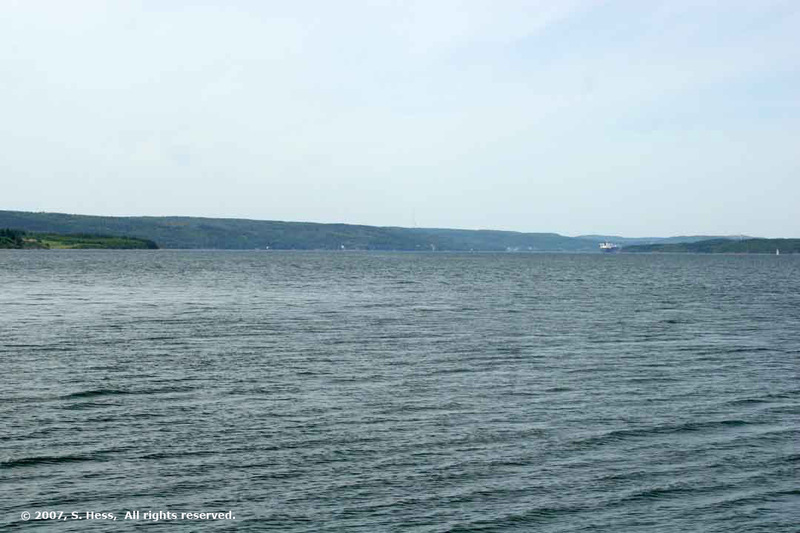 We are on St. Georges Bay, which opens into the Gulf of St. Lawrence, on the north side of the province. After leaving Canso we would take the Marine Drive, which would take us along the Strait of Canso and then loop back to the campground. The first leg of the trip took us overland through wooded hills dotted with beautiful lakes. 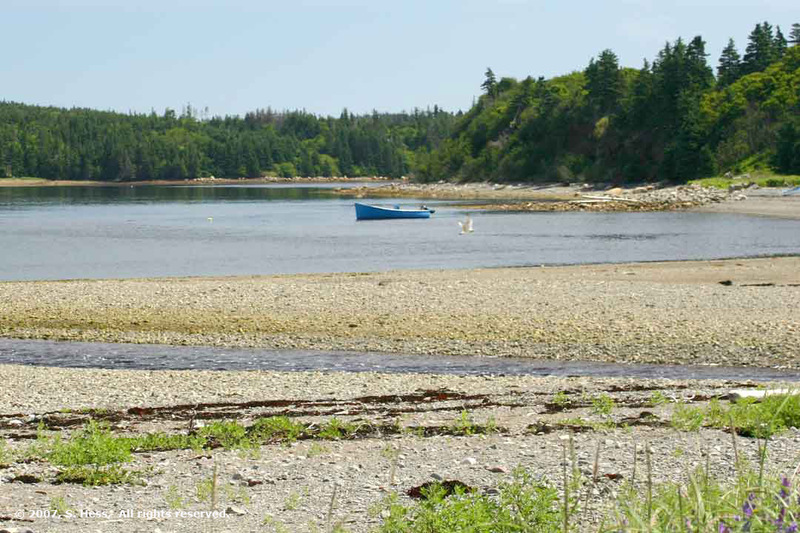 There is no question that lumber is one of the major industries in Nova Scotia. You can’t travel on any highway without seeing trucks loaded with logs. We were told, by a women we met yesterday, that this part of Nova Scotia is the largest Christmas tree growing region in North America. We can confirm that because we saw quite a few of these tree farms. After leaving the hills, we drove along Chedabucto Bay until we reached Canso, at the southwestern end of the bay. 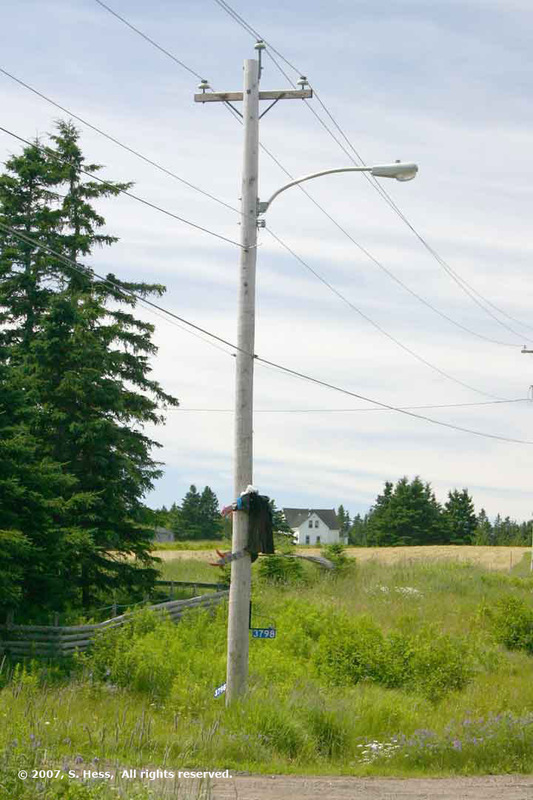 Canso looked to us to be just like many of the other towns in the area. To get to the historic area on Grassy Island requires a ferry ride that doesn’t leave until it has enough passengers to make the trip worthwhile. We didn’t want to wait. One of the few scenic lookouts that we encountered in Nova Scotia overlooks Chedabucto Bay at a site purported to have been visited by Prince Henry Sinclair (or St. Clair) of Rosslyn, in 1398. This is a controversial claim as you will find if you Google “Prince Henry Sinclair.” Some of the references link Sinclair to the Knights Templar and the Holy Grail (Rosslyn Chapel is mentioned in the DaVinci Code). 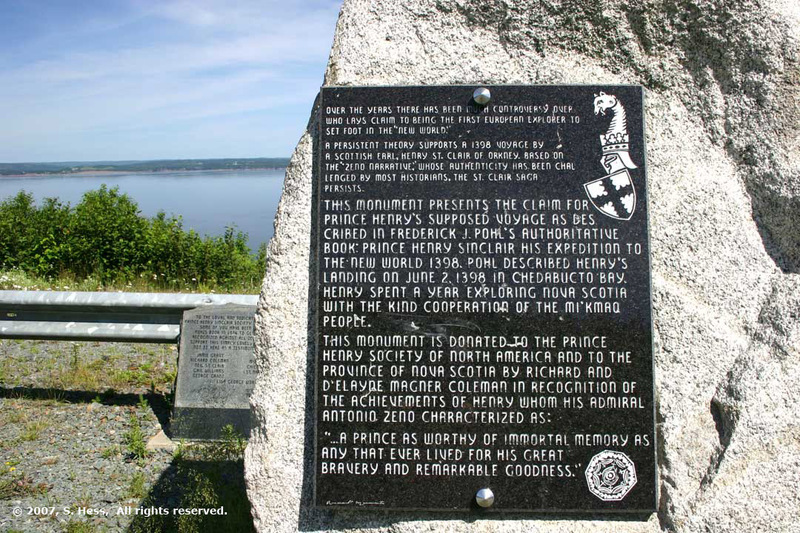 At any rate, there is a monument placed by the Prince Henry Sinclair Society of North America. At Sand Point, Chedabucto Bay and the Straits of Canso meet. At the entrance to the strait, you can see ships at anchor waiting for a place at the wharf to be loaded. The ships are primarily bulk carriers taking coal and gypsum from Nova Scotia to ports around the world. 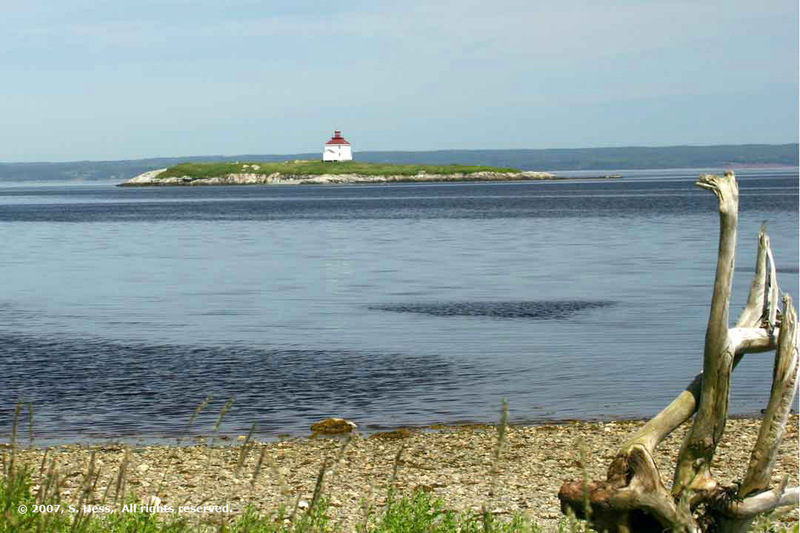 Nova Scotia has many beautiful sights along its miles of bays and coves, as well as in some of the inland areas. The problem we encountered is that if you wanted to stop and enjoy the view (or photograph it), you do so at some risk. The three scenic lookouts we stopped at today are among the few we encountered in the entire time we have been in the province. Most of the roads have limited shoulders to pull out onto and your vehicle is partially on the road. We chose not to take the risk and missed a lot of photo opportunities. As I write this, the clouds are building and rain is forecast for tonight. Hopefully, the rain passes tonight and tomorrow will be a good travel day. Chedabucto Bay. Taken from above the landing spot of Prince Henry Sinclair. Fishing boats at Sand Point wharf. A bulk carrier is at anchor in the distance. We had to stop for these pictures. I drove past it and found a place to make a U-turn just to get this shot... you don't see something like this every day. 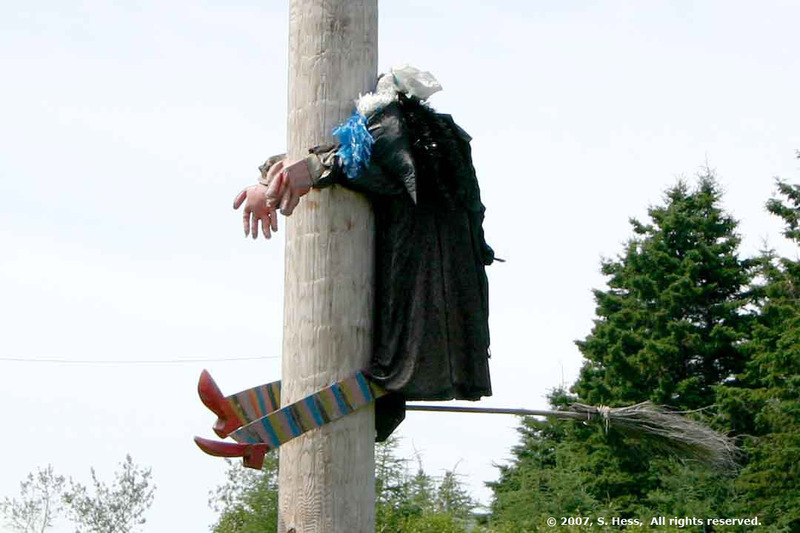 Someone with a great sense of humor placed this witch to look as if she flew right into the pole.